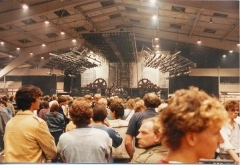 "Könnt ihr mitsingen?" asks Brian in perfect German before Love Of My Life. 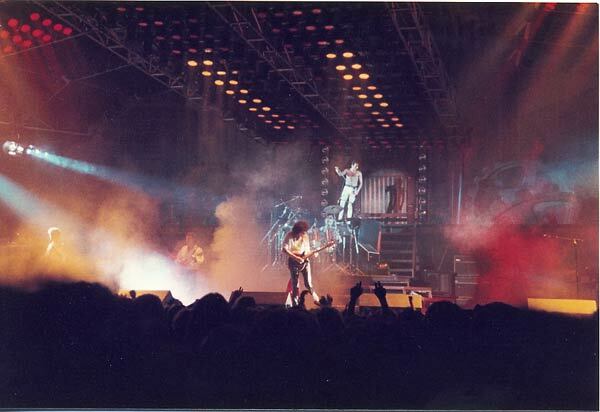 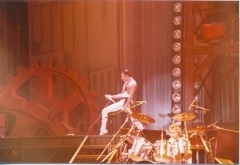 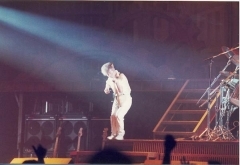 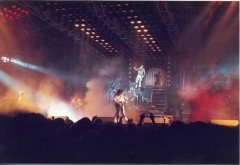 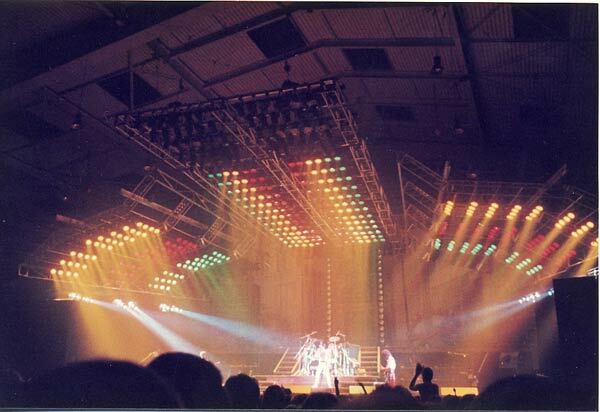 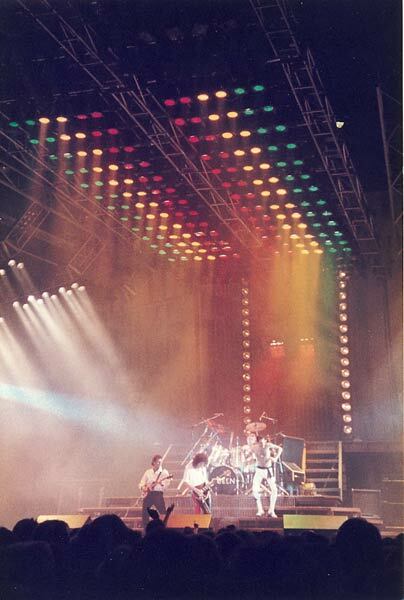 Freddie takes a nasty fall at the end of Hammer To Fall, and he's helped to the piano, as seen in the last picture. 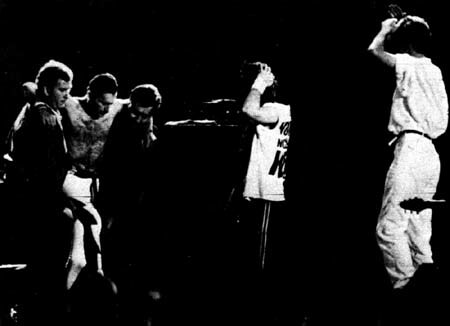 The band convene for a couple minutes to discuss what will happen, and they decide to cut out a few songs. 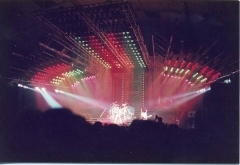 In considerable pain, Freddie belts out Bohemian Rhapsody, We Will Rock You, and We Are The Champions as best as he can from the piano. Brian comes in a couple bars early for his We Will Rock You solo, probably out of anxiousness to end the show so that Freddie can get the medical attention he needs. 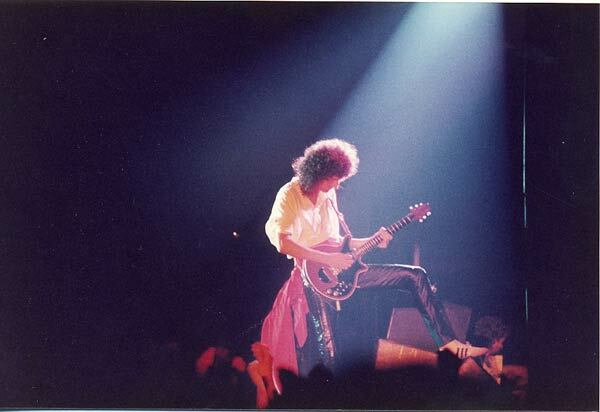 Immediately after the show he is taken to a hospital, and his leg would be bandaged for the rest of the European tour. 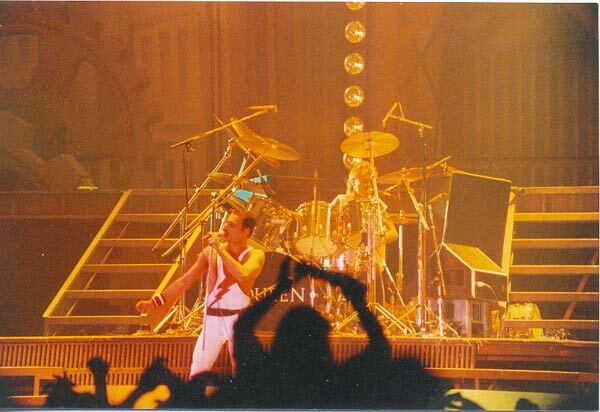 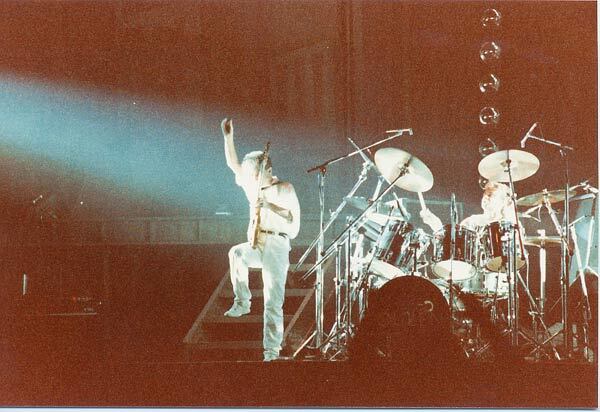 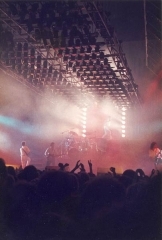 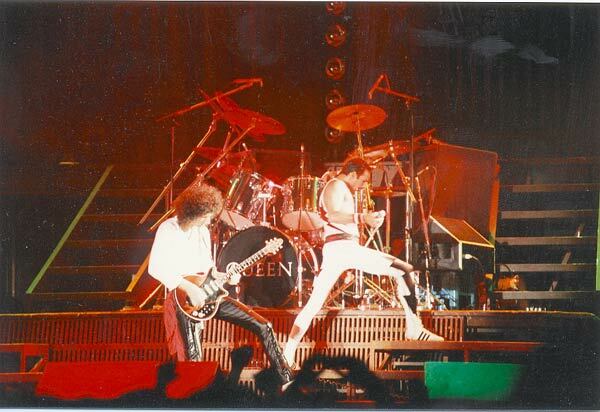 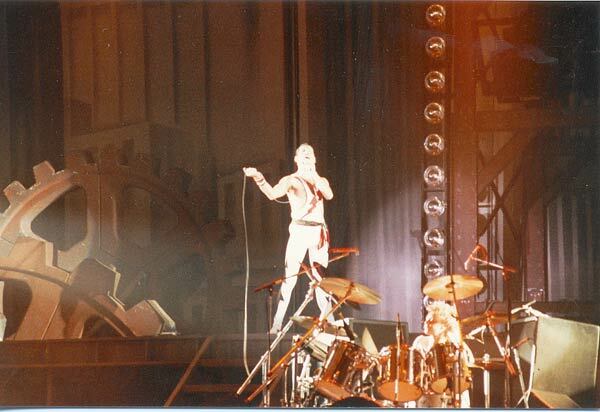 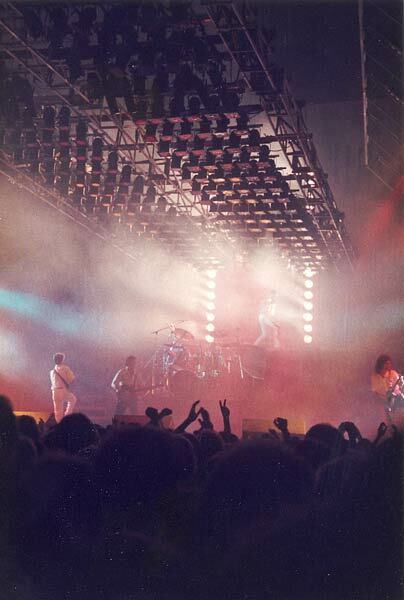 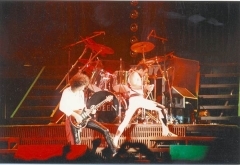 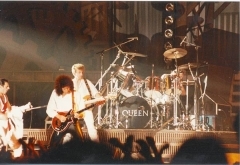 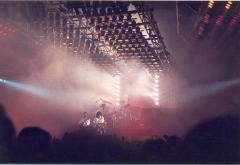 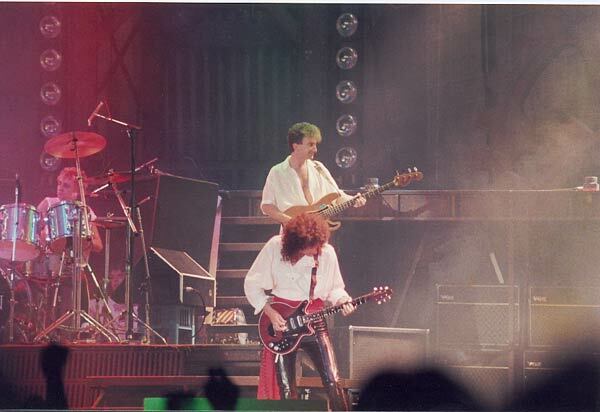 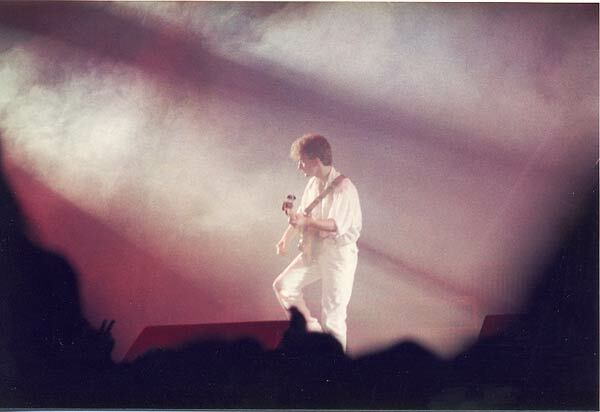 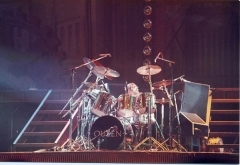 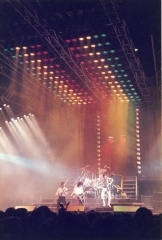 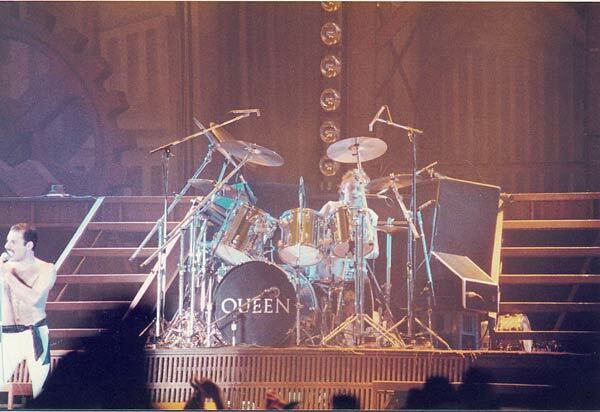 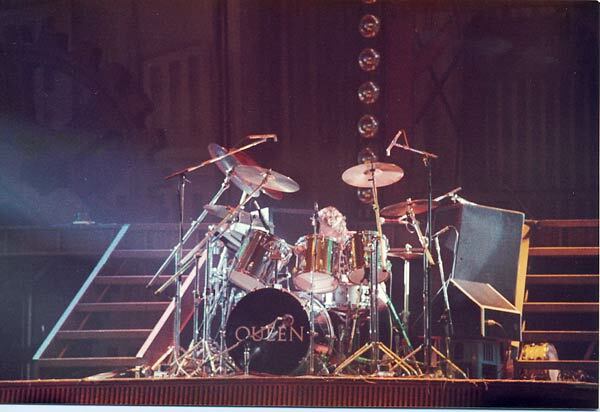 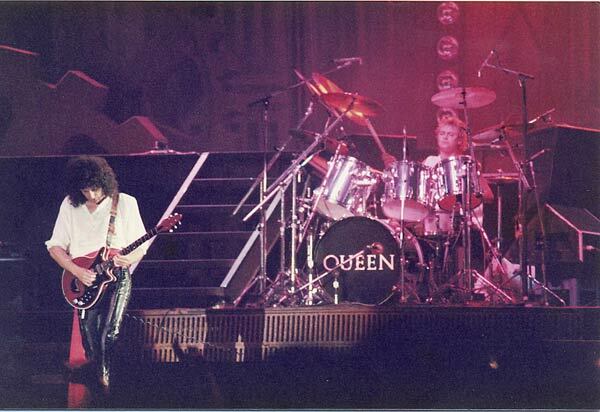 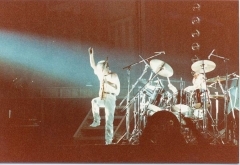 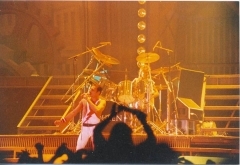 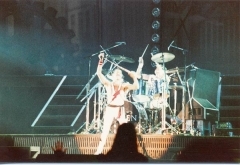 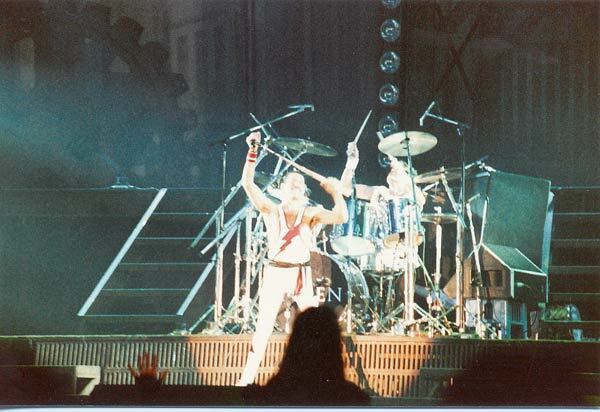 From here onward the band would bring a physiotherapist on tour, and Freddie would continue to have troubles with his leg for quite some time. 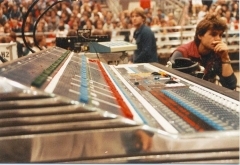 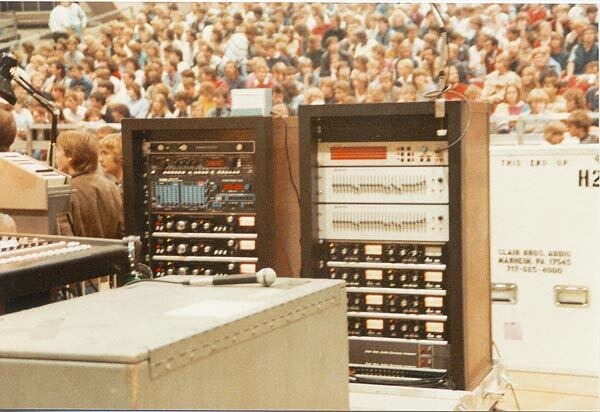 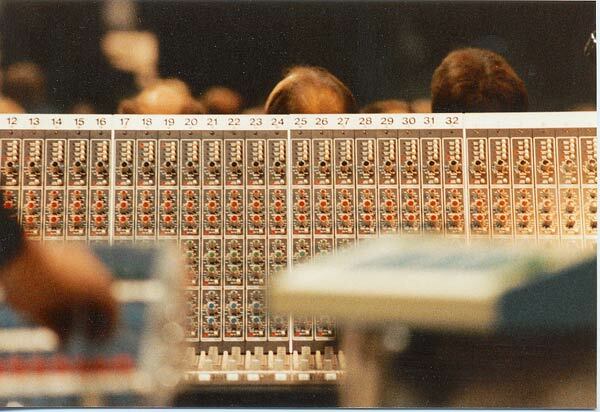 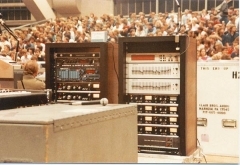 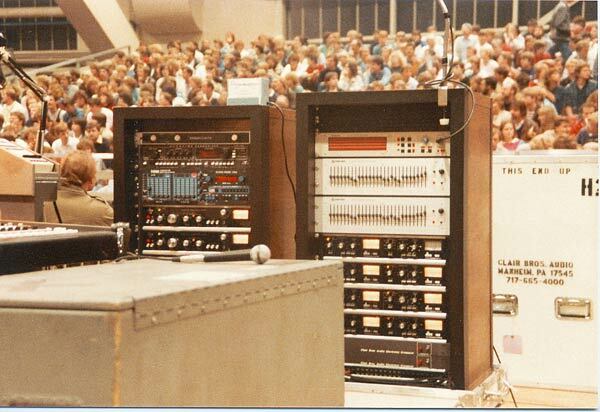 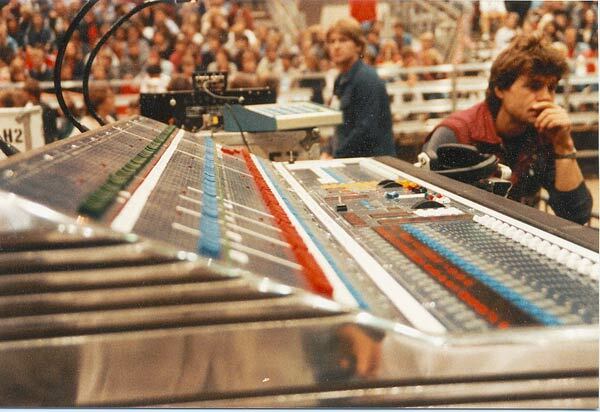 The second set of photos was taken by Ronald Lemburg, among them some great shots of the front-of-house mixing board. This is pretty rough quality, with no bass at all.